For more information on using Jamboard, check out the Help Center. 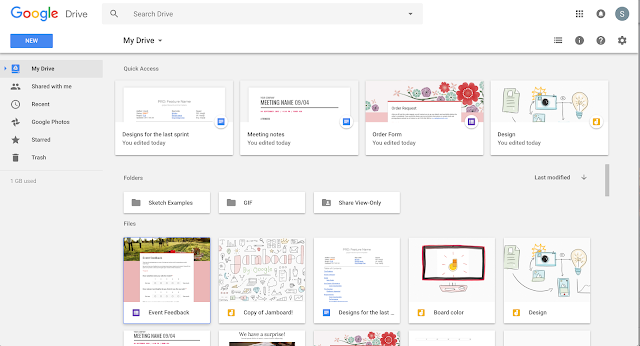 With Jamboard, it’s easy to enrich your team brainstorms with the power of G Suite. For example, you can grab images and content from the web and bring them straight into your “jam,” pull in work from Google Docs, Sheets and Slides, or add photos stored in Drive. To make the Jamboard experience even more integrated with G Suite, the jam files you own will now appear in your Drive folder. This means you can easily open, copy, and share jam files from My Drive, and save jam files from Jamboard to My Drive.